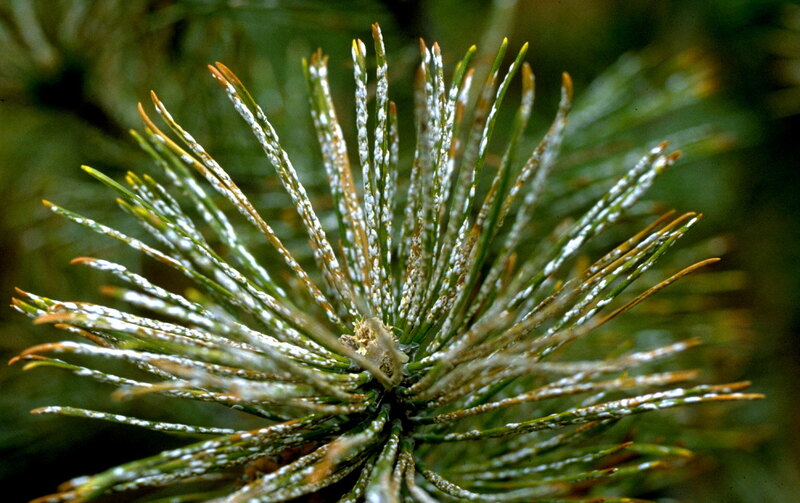 Pine needle scale feeds on the needles of most species of spruce, pines and fir. 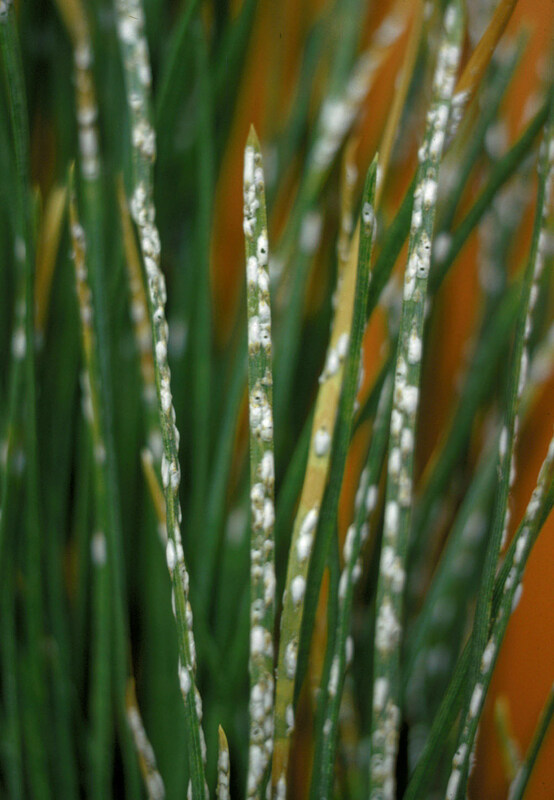 The small white flecks on infested spruce needles can easily be seen, but scale insects between pine needles are easily overlooked. Heavy infestations result in defoliation, twig dieback and occasionally the death of the entire tree. Sometimes pine needle scale is kept in check by natural predators. When treatment is necessary, sprays, soil injections and/or trunk injections are recommended depending on the severity of the infestation.